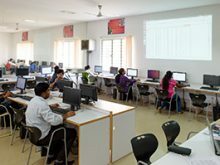 The Department of Computer Science & Engineering has been in existence from the inception of CMRIT in 2000. 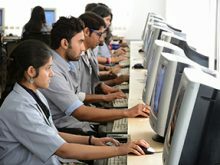 The department even offers an M.Tech program in the field of Computer Science Engineering. 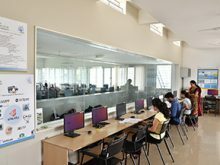 The department is a recognized research centre under VTU and offers the doctoral programs in computer sciences. 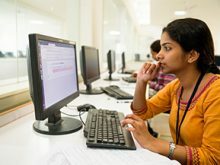 The department aims to provide students with a strong foundation in Computer Science and enable them to integrate their knowledge with other disciplines for carrying out innovative discoveries. 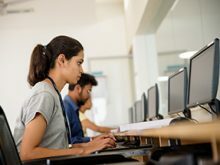 Many of the computer science graduates from CMRIT step directly into computer-related career positions in both private and government agencies, while some choose to continue their education in graduate degree programs. 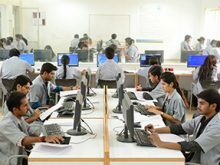 To be a centre of excellence in Computer Science and Engineering education, and produce competent professionals for a successful global career contributing to society. M1: To build a faculty team with industry and academic exposure, capable of moulding students into competent professionals, supported by adequate computing and software resources. M2: To prepare students for a global career in computing by enriching the curriculum with a blend of theory and practice. M3: To develop industry-relevant programming and soft skills through training programmes, vibrant student clubs and student internships. M4: To engage with industry and institutes of repute and collaborate in academics, research and development, involving faculty and students. PEO1: To prepare graduates with a strong foundation in engineering, science, technology and an exposure to modern tools, for a successful career in industry, entrepreneurship and computer science research. PEO2: To produce graduates equipped with knowledge and skills required to analyse, design and develop system solutions for real-world problems. PEO3: To collaborate with industry and professional societies to produce competent computer science professionals. PEO4: To nurture communication and project management skills of graduates, for them to be good team players and leaders. PEO5: To produce graduates who are ethical and socially responsible. PEO6: To produce graduates who are innovative thinkers and life-long learners. 2. Problem analysis: Identify, formulate, review research literature, and analyze complex engineering problems reaching substantiated conclusions using first principles of mathematics, natural sciences and engineering sciences. 4. Conduct investigations of complex problems: Use research–based knowledge and research methods including design of experiments, analysis and interpretation of data, and synthesis of the information to provide valid conclusions. PSO1: Design and develop applications using different stacks of web and programming technologies. PSO2: Design and develop secure, parallel, distributed, networked, and digital systems. PSO3: Apply software engineering methods to design, develop, test and manage software systems. PSO4: Design and develop intelligent applications for business and industry.